Find out how The Messenger captured its gorgeous flight footage in this exclusive behind-the-scenes video. How did they do that? The Messenger is a visually gripping documentary filled with incredible footage of birds in flight. 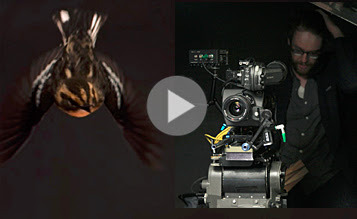 Usually these nocturnal, high-elevation migrations occur out of human sight, but director Su Rynard and her team used some movie magic—and a wind tunnel at Western University’s Advanced Facility for Avian Research—to capture stunning sequences for the film. See how they did itin this behind-the-scenes video. We Loved The Messenger: Read our review and find out how to request a screening in your area. Want to Help Songbirds? You don’t have to be a scientist. Every one of us can make a big difference. Learn seven easy things that you can do to help migratory songbirds. 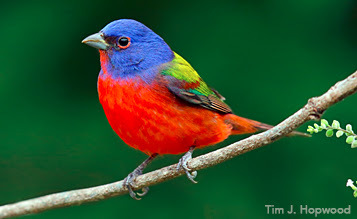 A colorful Painted Bunting brightens the landscape. Photo by Tim J. Hopwood via Birdshare. America’s Favorite Birds: Vote to Pick Birds for Our Coloring Book! The Cornell Lab Publishing Group is creating a coloring book—and you get to decide which birds are included! Vote on 42 birds; the 15 birds with the most votes will be illustrated. Cast your vote and receive a free downloadable coloring page and be entered for a chance to win a coloring book in fall 2016. Small brown streaky birds can be a challenge to ID. Photo by JMC Nature Photos via Birdshare. Colorful birds fly banners of bright markings, giving easy clues that can lead to an ID. 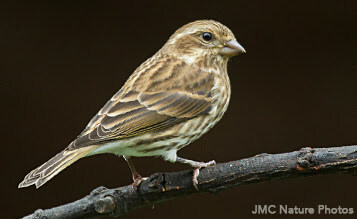 But brown, streaky little birds—often females or immature birds—can be tough. The little bird in the picture above may visit feeders all over eastern and western North America. Pay close attention to the pattern of streaks on the face and shape of the bill for an ID. Check your answer on All About Birds. Project FeederWatch offers Tricky Bird ID tools to help figure out which birds are at your feeders. Sign up for Project Feederwatch and you can count birds for science this winter. Bird Academy launches All About Bird Anatomy. Illustration by Andrew Leach. How Is a Bird Built? 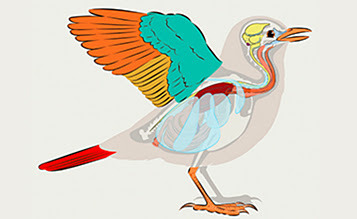 Find out using All About Bird Anatomy, the Bird Academy’s new interactive tool. This is a fun way to learn bird anatomy quickly and effectively. Explore all the systems that make up a bird—feathers, skin, musculatory, skeletal, respiratory, digestive, circulatory, reproductive, nervous, and endocrine—then quiz yourself to see how much you’ve learned. Get started by building your own bird now. 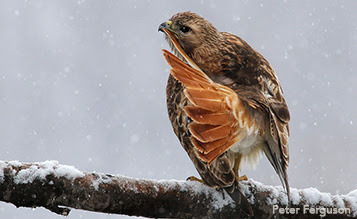 One of the GBBC’s 2015 photo winners, a Red-tailed Hawk by Peter Ferguson/GBBC. The 2016 Great Backyard Bird Count is February 12–15. 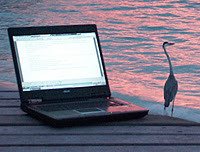 GBBC was the first online citizen-science project to collect data on wild birds online and to display results in near real-time. Since it started 18 years ago, more than 100,000 people of all ages and walks of life have joined the 4-day count each February to create an annual snapshot of the winter distribution and abundance of birds. 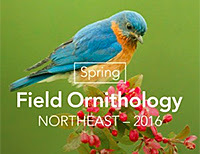 In 2015, GBBC participants in more than 100 countries counted 5,090 species of birds on more than 147,000 checklists! See the full 2015 summary. BirdSleuth’s Free Monthly Webinars for Educators: Learn more about teaching through birds and citizen science with four free webinars offered by BirdSleuth. School Garden Grant Program:With the help of Alaska Fertilizer, BirdSleuth will award 10 grants to U.S. teachers to support STEM learning and healthy living in school gardens and classrooms. Apply by February 15. Winter Special: Treat yourself or a young naturalist to BirdSleuth’s winter special birding kit, which includes game cards, posters, and more. Available for just $9.95 while supplies last. For 40 years, people living around Ithaca, New York, have learned about bird identification and sharpened their field skills with this 8-week course taught by renowned birders and ornithologists. Now anyone can get in on the learning and the fun, watching lectures and taking bird ID quizzesonline. Starts March 24, 2016. Early bird registration (through February 7) comes with free access to the Be a Better Birder tutorials. Cornell Lab members receive a 20% discount.Learn more about the online course. Do you live in Central New York? Find out how to take the course in person, including weekly field trips.